Jesus said, “By this all people will know that you are my disciples, if you have love for one another” (John 13:35). 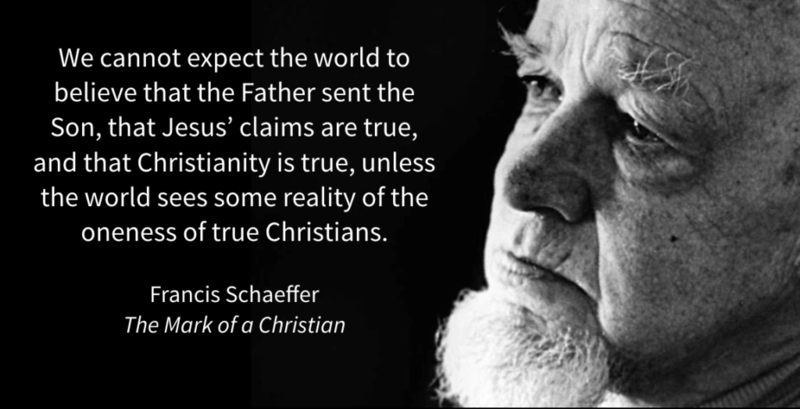 Francis Schaeffer called the love Christians have for each other “the final apologetic.” Whether you realize it or not, you have a structure for fellowship in your church. And building authentic Christian community depends significantly on the effectiveness of that structure. We focus now on the concept of determining your fellowship styles. Building authentic Christian community depends significantly on the fellowship styles and structures you utilize in the church. 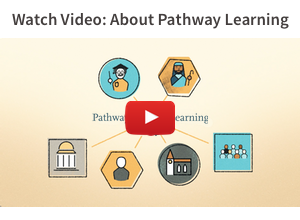 Whether you realize it or not, you actually have a structure for fellowship in your church. The first circle is Celebration. First is the model proposed by Peter Wagner with three concentric circles. 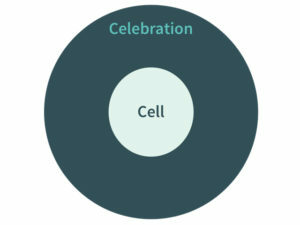 Wagner would say the big circle, that’s unlimited in size, is Celebration. That’s when people gather together for worship. The next circle down is Congregation. Sociologists, studying human beings, have learned that there are only so many people that you actually have the human capacity to significantly know and have a relationship with. Meaning, to know their name, to know their children’s names, to know anything about their lives. You have a capacity. You actually maxed out at a certain level of people. Normally it’s around 60 to 80 people. This concept of congregation maxes out at that level. Finally, we have the Cell. Usually, sociologically, we learned that the minimum is about six and the maximum is about 16. So you can see when you define cell as 6 to 16 then you define a congregation as 20 to 80. Then celebration is unlimited. 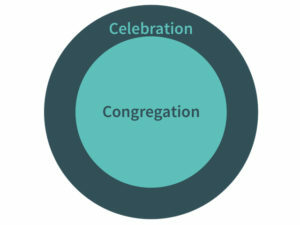 A lot of congregations for an extended period of time have seen their worship service and then they have the congregation- all types of different forms. And they have their cell, which of their small group, like a small group ministry. 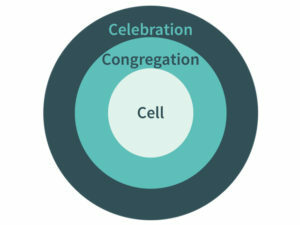 Now, the next circle removes the cell and only celebration and congregation remain. 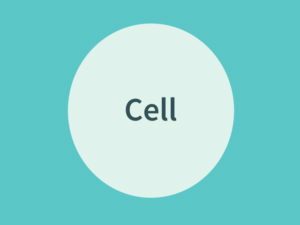 No cell. Now this is the model that has actually developed the second largest Protestant denomination in the world. They’ve used this structure to actually build the largest denomination in North America – the Southern Baptist. But notice the structure. What was this structure? Some of you may have Southern Baptist background and you may know it. What was the congregation? The congregation was the Sunday school class. And the secret was to actually form the congregations or the Sunday school classes like mini churches around the age of the wife, if they’re married. That’s a very interesting dynamic. And so if they’re couples, it’s the wife’s age that would determine the homogeneity of the group. And what happened was each Sunday school class had its officers and there was a president of the class and there was a person in charge of meals if you got sick or someone died. And there was a person in charge of social time, and there’s someone whose going to help with the visitation of the hospital. These were like many mini churches within the church. This was one of the secrets to the growth of the Southern Baptist church. Little tiny churches called Sunday school. Now our third model is used by the largest church in the world, in Seoul Korea. 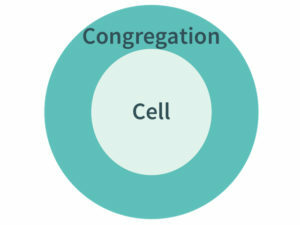 A fourth model would be the congregation cell. These are called “cell churches” where it’s just a congregation and there are small groups within that. Those are small, healthy, growing reproducing churches. And then some would advocate a fifth model—the Cell church. Actually just the cell is called the house church. And that’s just 6 to 16 people. I don’t think this meets the biblical definition of a church. I promote the concept of cell churches but not house churches because a cell church can have all the dynamic of the house church but it is a cluster of churches that are in a congregation that actually has elders that are overseeing the movement. So it looks a lot like house churches but it’s a congregation, it’s a cluster of cells overseen by elders and served by deacons. I think it’s a revolutionary model and it’s one that God has used a whole lot all over the world.